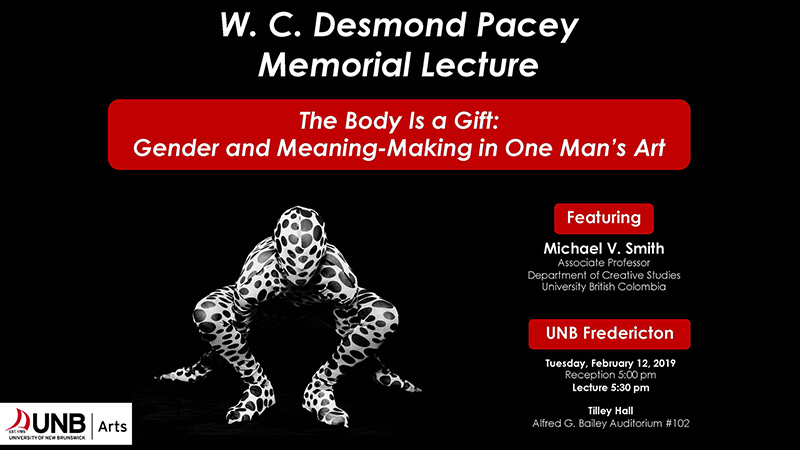 Associate Professor Michael V. Smith, from the University of British Columbia, will be the guest lecturer at this year's W.C. Desmond Pacey Memorial Lecture. In a hybrid performance-lecture, Michael V. Smith presents a retrospective of his body-based creative work. 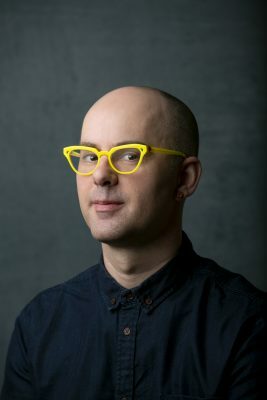 Smith has made a career examining how bodies are read, misread, or re-read. "The Body Is a Gift" explores ways in which art can (de)construct gender as a functional tool for undoing, unseeing, unbecoming. Inspired by the work of artists Leigh Bowery, Cindy Sherman, and Darren O’Donnell, Michael V. Smith up-ends the everyday to complicate what is a freak and who is familiar.